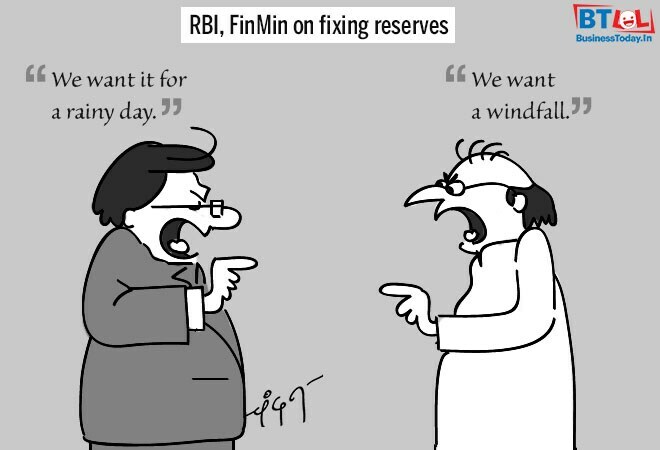 Cartoon of the Day by Chandan Kumar: RBI, FinMin on fixing reserves. | "We want it for a rainy day." " We want a windfall."